You know me; I'm pretty much the worst person ever when it comes to looking after my hair. I hate washing it, yet I have a tendency to wash it too much. Describing myself as 'less than gentle' when speaking about my brushing technique would be one hell of an understatement - I basically have a full-blown fight with my hair, even with wonders such as the Tangle Teezer on hand. I'm the queen of back-combing, and have an endless love-affair with hairspray, thus leaving my hair in a pretty dishevelled state. Adding to this, I can never really be bothered to use serum, and my hairdryer is my best friend (it has to be, my hair would take SO long to dry otherwise). Needless to say, my hair has seen better days. However, I'm determined to turn it around. As much as I know my hair will pretty much ALWAYS be just a little bit of a mess, I want to try and actively improve its condition, if I can. This is where milk_shake hair care comes in. I was contacted a little while ago about trying the products, and after hearing a little about them, completely jumped at the chance. 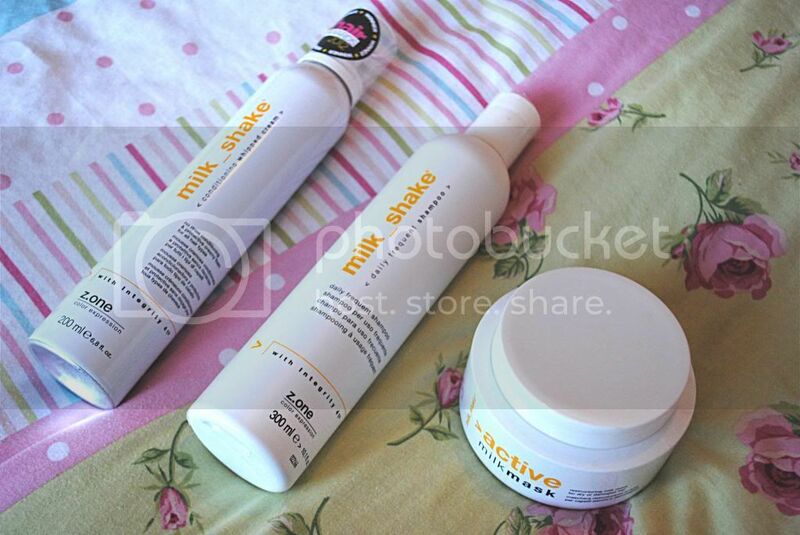 The milk_shake brand aims to 'enhance and maintain the natural beauty of hair' and lord knows, my hair needs it. I was sent a little selection of their conditioning products, as well as their Daily Frequent Shampoo. What I love about the shampoo is that it offers something I've never really discovered before when it comes to shampoo; basically, it is delicate enough that it can be used frequently without damaging the hair and stripping it of too many oils - perfect for serial hair-washes like me. It's a pretty simple product, but I'm really, really happy with it and I love the concept behind it. 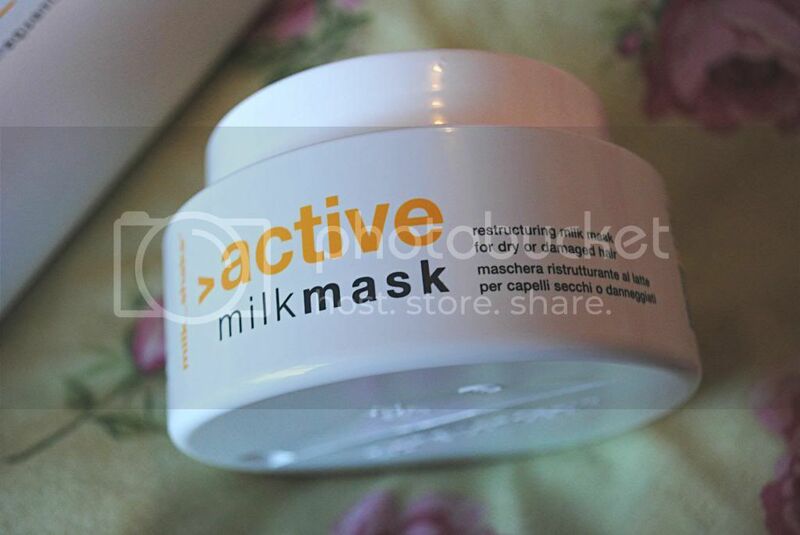 Next up, the Restructuring Milk Mask. Mhmm. I LOVE this product. Now, I'm not the best at deep-treatments and masks, but this makes my hair feel SO good that I've become a bit addicted to using it. It says to leave it on for five minutes, which I usually do, but I've also left it on for a good hour as well - either way achieves amazing results. My hair feels SO soft after using it, and is ridiculously manageable - whereas my hair is usually an unruly mess after washing. I'm extremely happy with this product and I think I might cry when it runs out! Last, but by no means least, is the Conditioning Whipped Cream. Immediate reaction was, 'Oh my god it's like whipped cream!' which, well, it is. It smells amazing, as do all of the products (a mix of strawberries and cream comes to mind), and features a fun little whipped-cream style nozzle. The thing I adore about this product is that it provides the two key things I look for in hair products; it aims to nourish and condition the hair, as well as giving it volume. What more could you ask for? 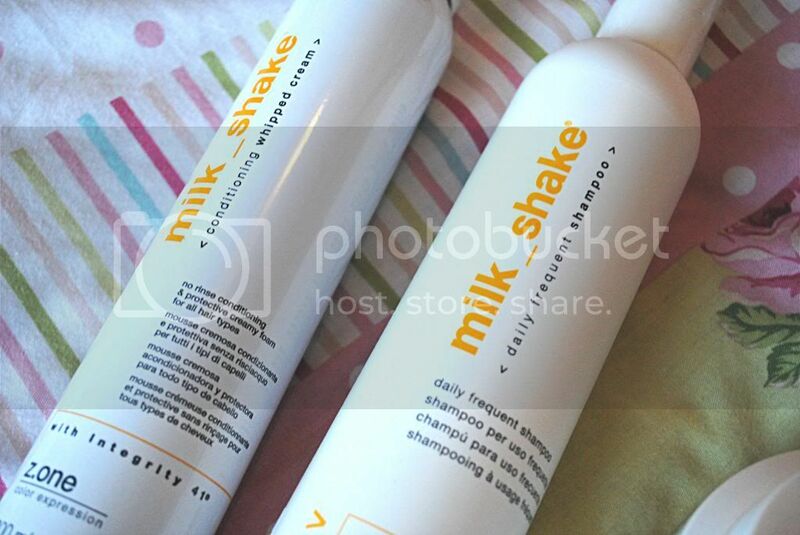 It contains milk-derived proteins, and something snazzy called Integrity 41, which is meant to strengthen your hair. I'm really impressed with it. For a lazy hair-styler like me, it's perfect. Instead of having to faff around with mousses and serums (which I should probably do too, but, you know) I simply pop this on my hair and I'm good to go - it has the nourishment of a serum and the volume and bounce of a mousse. Perfection. Overall I'm really, really pleased with this brand and would definitely recommend it. I think if you look for nourishment and volume in a product, the Conditioning Whipped Cream is certainly for you. If you over-wash your hair and need a gentler shampoo, the Daily Frequent one is great, and if you're looking for a really good moisturising and protecting mask, I can't fault the Restructuring Milk Mask. Totally in love with this product range. Adding to that, all the products smell really yummy. Mhmm.